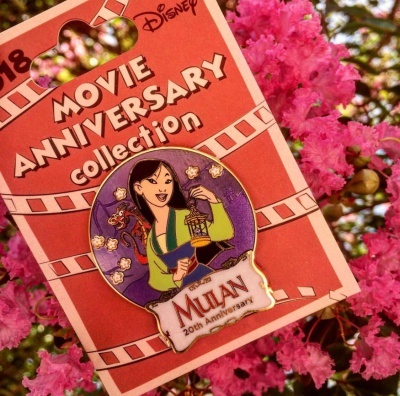 This new, Cast Member Movie Anniversary Mulan pin is now available! It features the Mulan 20th anniversary. Limited edition of 750. This is the 18th pin in the Cast Member movie anniversary collection. This pin features a glitter embellishment design and reads “Mulan 20th Anniversary”. Features Mulan with her sidekicks Mushu & Cri-kee. Available on July 27, 2018 at Company D with a retail price of $16.99. Join the Disney Pin conversation in our Forums, or in our Facebook group! Available 7/27 for WDW cast at a price of $16.99.